A properly functioning chimney, along with a well-maintained fireplace, is important for keeping the indoor environment comfortable and warm in extremely cold weather. However, your chimney can start developing structural issues over time if proper attention is not paid to its maintenance. By hiring professional services for chimney masonry repair and brick repair, Gig Harbor homeowners can extend the life of their chimneys considerably. You might not be aware of the issues prevailing in your chimney, as it needs experience and specialized tools to detect the underlying problem and perform required repairs. With many companies offering services for chimney masonry repair and brick repair, Gig Harbor homeowners should hire the best to keep their chimneys well maintained. And Professional Chimney Solutions, Inc. is a company renowned for providing unmatched services, whether it is chimney installation, inspection, chimney masonry repair and brick repair or restoration. At Professional Chimney Solutions, Inc. we adopt a personalized approach and pay attention to the specific needs of our clients. Whether you have a stone, brick or block chimney installed in your house, we can efficiently carry out the chimney masonry repair and brick repair work and add years to its life. When carrying out the process of chimney masonry repair and brick repair, Gig Harbor experts analyze the entire structure first, in order to determine the extent of damage or other issues that might have lead to the current condition of your chimney. 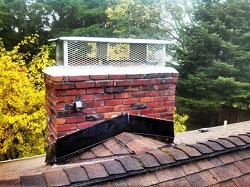 Utilizing their knowledgeable approach and specialized practices, our chimney masonry repair and brick repair Gig Harbor team makes sure that your chimney is restored properly, both structurally and aesthetically. Many materials are available these days for constructing chimneys, but masonry is the first preference of most Gig Harbor homeowners, mainly due to its strength and durability. The natural appeal and earthy look of chimney masonry are other reasons making them a good option to match your house exteriors and enhance the value and appeal of your home even more. Certainly the beauty of chimney masonry is unmatched, but the deterioration and damage it can suffer over time can take away its structural strength. 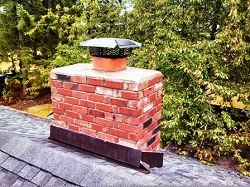 To keep your chimney free from such problem, call the chimney masonry repair and brick repair experts at (253) 448-3987 and get professional assistance.